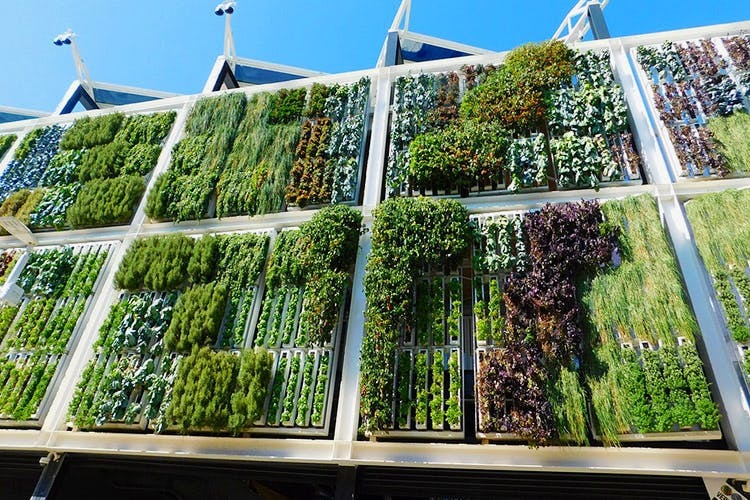 The capital’s been trying their best to battle the ongoing air pollution, and Gurgaon has stepped up and decided to install vertical gardens along their metro route. Gurgaon’s initiative to combat air pollution using greenery is commendable. The concept of vertical gardens isn’t new to them, with multiple office spaces in Gurgaon having them. However, the idea to bring it to the metro is a first, and with the large number of riders and the structure of the metro covering a wide portion of the city, this will help improve the aesthetic of the concrete jungle. The plants will help battle the smog and reduce the air pollution, while increasing the green cover in the city. As a part of the government’s Green Plan, the existing green belts will be further developed, and areas around metro stations are to get more plants too. It will begin with the Rapid Metro, and then move along to other metro pillars between Delhi and Gurgaon. We’ll keep you posted about further developments regarding the government’s initiative. We’re excited to see the metro routes become prettier and greener.